Tonight, we ate chicken stirfry with sticky rice. Oh yeah, and then Elijah fed himself for the first time ever! Elijah's a little confused about the difference between a toothbrush and a spoon, but he's getting there. The z-vibe is what gave him that little push he needed to do it. Usually he tries his best to not hold onto a spoon. Why hold a spoon when mommy (or daddy) will feed you? In the following video, the food Elijah feeds himself falls out of his mouth...but he did actually eat and swallow some of the food he got in there tonight. So we're definitely calling this his official first time self-feeding. This is a big deal folks! We might've done some happy dances around the house and we might be really excited about this. Did I mention that it's a big deal? Because it's a big deal. A lot of changes have been occurring for Elijah lately. It's funny sometimes, the things that make us happy. -When Elijah plays with our mini-blinds and we tell him "no" he moves on to the next window and starts to play with a different window's mini-blinds. He's problem solving and that's a good thing. 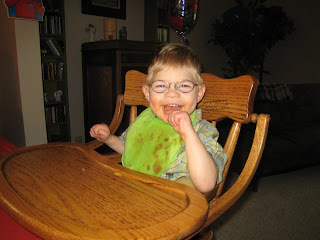 -We've always fed Elijah in his high chair next to our table. The temper tantrums that were accompanying every meal last week were solved by pulling his high chair up to our table. Seems the little guy was getting mad that he wasn't sitting at the big boy table and he had no way to tell us (well, other than arching, screaming and biting). He's definitely communicating, so that's good. 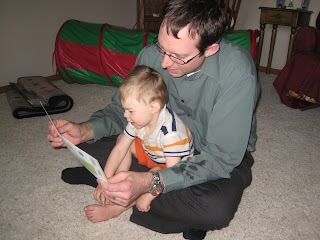 -Since I'm home (and I use the term "home" loosely) with Elijah all day, Andy usually does Elijah's bedtime routine. Lately, Elijah hasn't wanted anything to do with reading books at bedtime, until we determined that he just wanted mommy to read them to him. 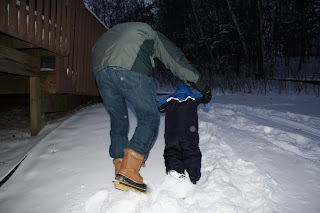 (Daddy isn't too pleased about this, but really it's a fantastic developmental step). 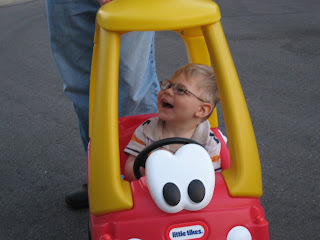 -When we're out and about driving, Elijah "drives" with his steering wheel toy. His toy falls off of his lap often and when it does, he whines. It's kind of annoying, but I love it because he never used to care about such things. 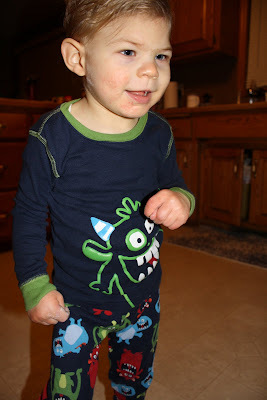 -Often, when Elijah is supposed to be going to sleep, he does a lot of babbling. Elijah doesn't babble much, so even though it's bedtime it's nice to hear those "babababas" coming from his cute little mouth. See? Sometimes things that seem negative are actually positive. Sometimes things that are difficult to handle are developmental steps in the right direction. As I carry Elijah over to the floor to change his diaper I ask: "Do you know I love you?" He snuggles his head into my shoulder (which is his way of hugging) and he answers without uttering a word. He knows. I love you too Boo-ba, I love you too. 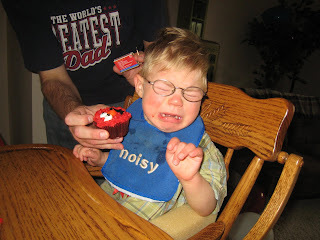 For much of his life, Elijah has been unable to bring things to his mouth. 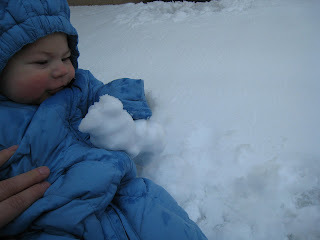 He can get his hands in his mouth (which is where they live), but getting an object in his mouth is another story. He would do it once in a great while, but the skill hasn't solidified...until now. Andy has been working with Elijah to try to teach him how to brush his teeth...and Elijah is getting it! This is amazing because it's been hard for Elijah to hold onto anything for an extended period of time. The vibration from the toothbrush seems to remind his hand that he needs to hold onto it. It may not seem like much to some, but this is a HUGE breakthrough! 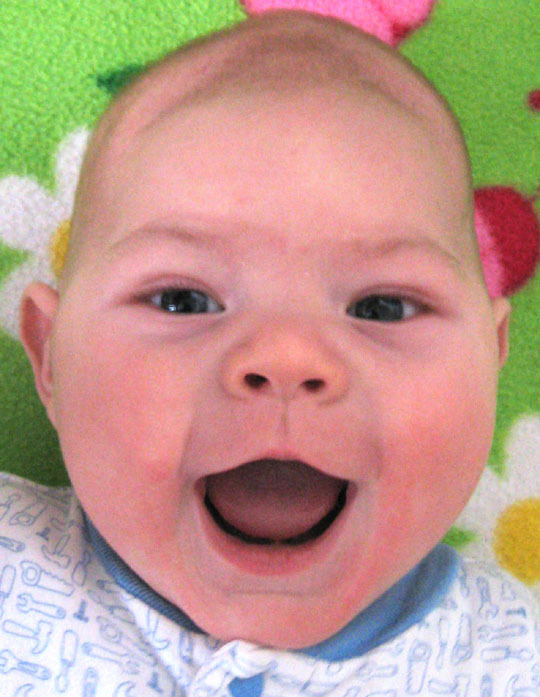 We ordered Elijah a z-vibe with attachments and are waiting for it to arrive on our doorstep. A z-vibe is a tool sometimes used by speech therapists to awaken, strengthen, and de-sensitize the mouth. I'm so excited to see if the vibration with the z-vibe will help motivate Elijah to feed himself. I see some amazing things on the horizon! I feel like perhaps we're at the cusp of something really fantastic. ---By the way, thanks for all of the nice comments on my last post! Sometimes it's hard to post things that are so raw and real, but I'm always glad when I don't sugarcoat over the difficult times. Knowing that others can relate and offer support means the world to me. 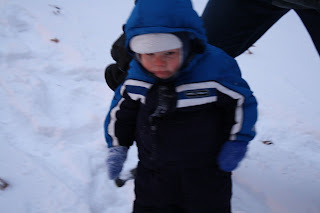 At times, a blind rage overtakes our boy. He screams and he cries and he bites his hand until it's red. Welts and scabs form from his continual abuse. I hold his hands and urge him to calm down. But his anger is in control now. He arches backwards to hit his head on his highchair because he can no longer bite his hands and mine are out of reach. He must get the anger out. "What do you want?" I ask. But he doesn't answer. He can't tell me. And he doesn't know why I can't understand. My insides grow cold and I want to cry, but I've used up all of my tears and have none to spare. I'm dead inside at this moment, my eyes drifting out the window so that I can pretend that I'm somewhere else. Anywhere, but here in this moment, watching my child hurt himself. I try to understand, solve the puzzle of his anger. "This isn't what you wanted for lunch?" I ask. And yet, I know how he feels. I want to punch holes in the walls and slam my head against the table. The rage visits me too. Because he can't tell me. And I can't understand. 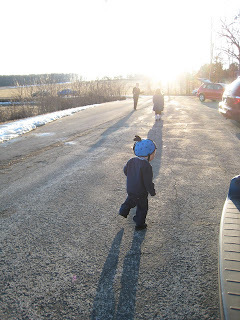 I wrote this this afternoon after a really difficult lunch with Elijah. Tonight, I went to a local event featuring a speech pathologist named Teri Kaminski-Peterson, author of The Big Book of Exclamations. She said some things I've heard before, gave me some new ideas, and most of all, reminded me that there's no such thing as false hope. There's just hope. 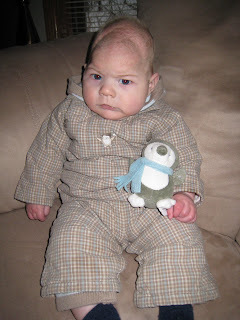 I was pregnant with Elijah when Andy and I started house hunting. I kept re-emphasizing the fact that I wanted trees. "I want TREES!," I'd say. And, well, I got my trees. 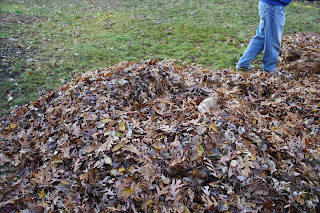 In the fall, that means we have a lot of raking to do. 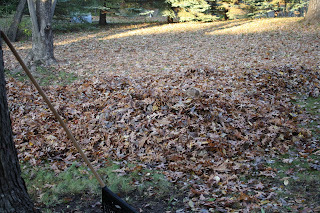 Unlike a lot of chores, I really like raking. There's something satisfying about being able to look behind you and see all of the work you've done. 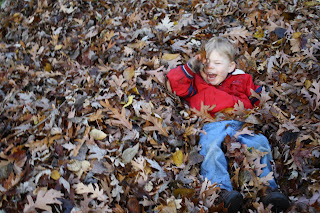 Besides, it only has to be done once a year, and most importantly - those leaf piles provide all sorts of opportunities for fun! 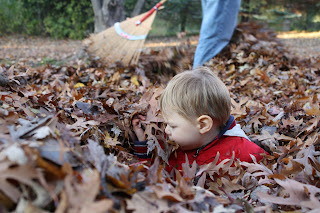 This past Sunday, we spent the day raking as a family. 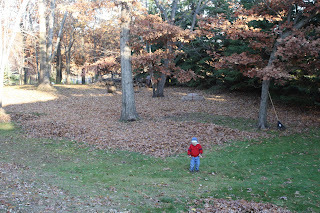 Andy and I raked and Elijah helped by walking through the leaves and doing his best to spread the leaves back out on the ground. By the way, Elijah is in the above photo. His little head is peaking through the leaves. Can you find him? Now do you see him? He's in there... Needless to say, we had a lot of fun! 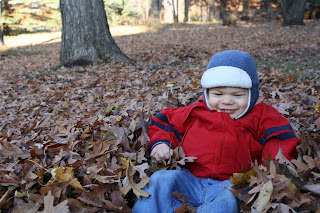 Labels: autumn, fall, leaves, Where's Elijah? I think I'm becoming numb to doctors at this point. We've seen so many of them that we definitely know what to expect. Elijah knows what to expect. I'm sad to think that this is Elijah's normal. He doesn't know a different life - a life without clinics and nurses and height and weight checks. 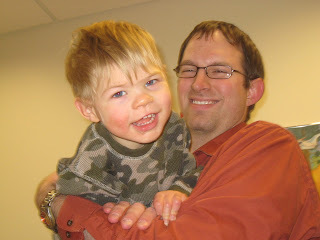 Elijah met a new doctor today – a developmental pediatrician. We wanted to talk to a guy who specifically works with kids who have developmental disabilities. We also wanted to know if this doctor had any more advice for us in terms of what we can do for our little guy. We're happy we went to see this doctor. He was really nice, he knows his stuff, and I think the visit proved to be beneficial. The doctor went over Elijah's history with us and showed us charts correlating to his development (based on worksheets we'd filled out ahead of time). The doc told us what he was going to write in his report – that Elijah has cerebral palsy, that he has global developmental delays (meaning he's delayed in every single area of his development), and that if he were to give Elijah a median age it would be about 14 months...Some areas of his development (gross motor – walking, running) are much higher and closer to his actual age of 26 months and some areas (such as his speech) are severely delayed. Yes, these are things we mostly already knew, but it's still hard to hear it from an expert. It's still hard to see your child's development charted so far below his peers. 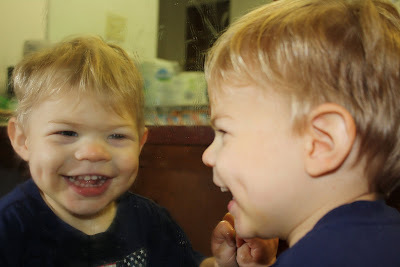 The doctor also mentioned that he thought Elijah is exhibiting signs of Pervasive Developmental Disorder – Not Otherwise Specified (or PPD-NOS), which means that Elijah exhibits some of the behaviors of autism, but not all of them. Honestly, this one took me a little by surprise. We weren't expecting to walk away from this appointment with another suggested diagnosis. Does that mean Elijah has autism? Nope. Does Elijah officially have this PDD-NOS diagnosis? Not yet, but the doctor recommended filling out some pretty extensive paperwork to determine if PDD-NOS fits Elijah's behaviors. Am I shocked? Nope. When you've already been told that your child has brain damage and that the damage is severe, well, not much can sound as bad as that. 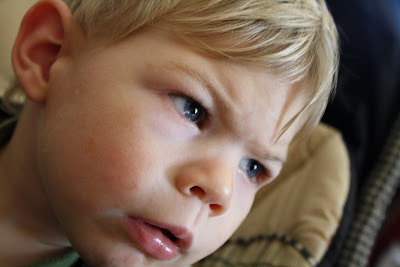 The doctor also mentioned that about 3/4 of the kiddos he sees - that have a history like Elijah's - show signs of PDD-NOS. The doctor mentioned re-doing an MRI. Elijah's last MRI was performed when he was 8 days old. An MRI at two years would look much different and might give us some more insight into how Elijah's injury has affected his brain and how his brain has developed. Would it change Elijah's therapies and interventions? Probably not. Might it help us understand him better? Maybe. We'd have to sedate Elijah for this study, so we don't take this decision lightly. It's something we're definitely going to think seriously about before having it performed. 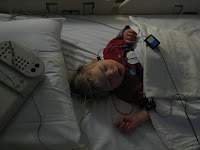 The doctor also mentioned testing Elijah's hearing. Elijah's hearing was tested when he was still in the NICU (and he passed), but this doc wants to know if Elijah's brain is receiving and interpreting the sounds. 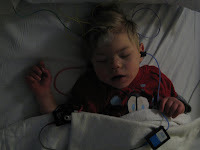 Just as Elijah has an issue processing what he sees (and has been diagnosed with CVI), it could be possible that he has an issue processing what he hears. We'll definitely be performing a test called Auditory Brainstem evoked Response (ABR) (also known as a BAER), which tests both the ear and the brain. We know that Elijah hears as he's very sensitive to sound. But, is he able to understand what he is hearing? Is his brain receiving the information? That's a hard one. We don't know and hopefully this test will give us some answers. I know it may not seem like it, but overall it was a really good appointment. We liked the doctor and feel like he's already giving us some answers and help instead of just saying, "You're doing great!" or "Just keep up what you're already doing." 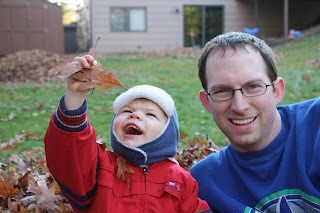 While those things are nice to hear, it's helpful to get the most information we can about our little dude. And while we certainly don't want any more diagnoses, they simply are labels that explain what our child is experiening based on the injury that's already happened. It's never anything new. The doctor was sweet to Elijah and he mentioned more than once how well Elijah is doing. He just stopped at one point and said, "Wow, he is doing really well." And Elijah is doing really well. Adding more diagnoses to his list won't change anything. It certainly won't change how much we love this little guy. All we can do is keep on trying to see the world how he sees it...not only so we can understand him a little better, but because I think if we could we'd make the world a happier place. Try to look at this picture and not smile. I dare you. 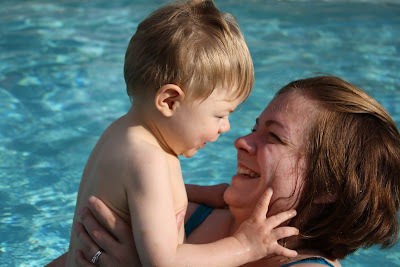 Picture: Texas in October; Eli swimming in the pool with mommy We recently switched all of Elijah's therapy to a different clinic. I'm excited about his new therapists and we now have all of his out-of-home therapy in one place. It's a lot nicer for me not having to drive to two different locations and it makes it easier for his therapists to keep in contact (and therefore on the same page when it comes to his therapy). This morning we had Elijah's first OT session with his new therapist. We'd met her once before when she performed Elijah's OT evaluation, but this was our first actual session with this new therapist. Therapists, especially when they don't know Elijah, ask me a lot of questions about what he can and cannot do, his history, etc. I expect this and I'm happy to answer. This morning, out of the blue, his new OT said, "What's your profession?" The question caught me a little off guard. I wondered why she wanted to know. Sometimes people tend to look down upon people who "just stay at home" with their kids. So what is my profession? I'm an "Ahm" as Elijah would say. It really is my dream job. 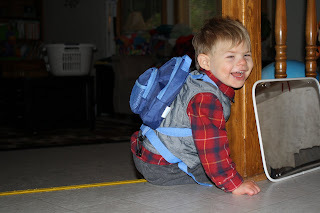 Yesterday Elijah had his second Upper-GI study. This time, they put an NG tube down his throat to get the barium into his system (there just was no way he was going to drink that stuff!). Just like last time, it wasn't fun. This time, however, they were able to do a complete study. Everything looked fine; the barium moved through like it's supposed to. The only negative comment the radiologist said was that Elijah's stomach empties really slowly. Elijah hadn't eaten for three hours before the study and yet his stomach was still pretty full of food. His stomach remained distended even after they had removed the food from it. This isn't really surprising to us as he'll spit up hours after he's had anything to eat or drink. In some ways I was hoping for a structural problem. Not that I would want there to be something wrong, but then we'd have a definitive answer and something to fix. Now, we're left with not knowing what to do to help our little guy digest his food. All we can do is to continue to hope that his reflux and digestion will improve over time. And, we can be grateful that there isn't something structurally wrong because that would mean he'd need surgery. 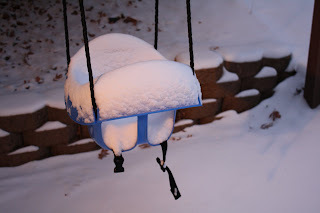 Overall, the test is good news, but it leaves us not knowing where we should go from here. I'm glad it's over. It definitely feels like torturing our child. So, we'll wait to hear from the GI doctor to see what he thinks. And we'll keep hoping and praying for improvements. Two weeks ago, our little world traveler took his first airplane ride. He was such a trooper. You see…last week, we were in Texas celebrating the Feast. 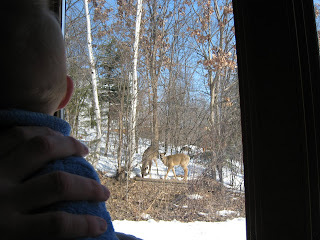 We had a grand 'ole time and we've been busy getting back into our routines (which would explain the lack of updates about our little explorer). It's seriously taken me three days to tackle "Mount Washmore" and I'm still not caught up on all of our laundry. Say it with me now, "Down with GERD!!!" Yes, there was a lot of laundry. Now onto the fun stuff: Flying! Um, What are my parents doing to me?! I was a bit worried about taking a two-year-old on an airplane, not to mention a two-year-old who just so happens to have special needs as well as severe food allergies. As with most things that we worry about, everything turned out fine. 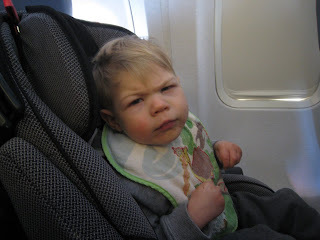 On our first flight, we had to wake up really early and Elijah started to complain once we got to the airport. We were getting sympathetic looks and smiles from people, but their eyes were also saying, "Oh, please tell me they're not riding on the same plane as me." 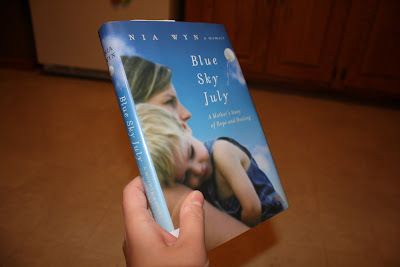 Once we got situated on the plane, Elijah started to cry inconsolably. A flight attendant kindly offered us some juice to calm Elijah down, but I showed her the bottle that he kept rejecting. He had no interest in drinking anything. I think he was tired and a little bit scared, but once the plane started taxiing down the runway he calmed down and was quiet for the rest of the flight. He even seemed to like the turbulence and took a nap! On the flight home Elijah seemed to think flying was old hat. He sat quietly in his seat taking it all in and seemed excited as I explained that we were flying again. 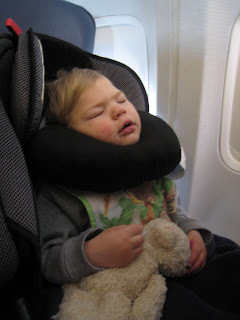 I couldn't believe it when I looked over a few minutes after we got on the plane and saw that Elijah had fallen fast asleep before we had even left the ground. He was an experienced and well-behaved traveler for the second flight and we were quite proud. As we made our way off of the plane, a flight attendant stopped us. "Hey you guys were on my flight down," she said. "He did so much better this flight!" It was the same flight attendant that had offered us the juice. I guess we'd made an impression. J Let's hope it was an overall good one. Well, our first flight with a small child is under our belts and we feel like world travelers. Last week as we lugged all of our stuff through the airport, we discussed that we weren't anxious to be world travelers again – anytime soon that is. -Up tomorrow: Torture – Take Two…We're going to attempt a second Upper-GI study tomorrow at three. We could definitely use some prayers that the study would be conclusive this time so that we can stop torturing Elijah (and ourselves). I know, I know... 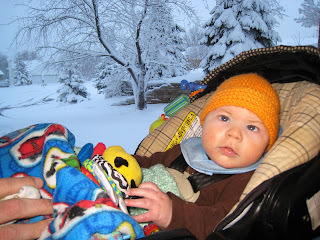 I've been a blogging slacker lately and I suppose you all want to know what Elijah has been up to. Well, he's been getting into trouble...and that's a good thing! Who woulda thunk that'd be a good thing?! Elijah's eyesight has defintely improved. Yes, he's still visually impaired, but he's looking up more and giving more eye contact than he ever has in the past. Exciting stuff. With better eyesight comes improved ability to learn about the world around him. He plays with the blinds on our windows, pulls down the curtains on our entry door, gets himself behind our couch, and plays in the dirt in our potted plants. If he could figure out how to open the door to our bathroom, he'd be playing in the toilet bowl (yep, he did that once). Just today I was thinking I might have to do a better job of baby-proofing our house. 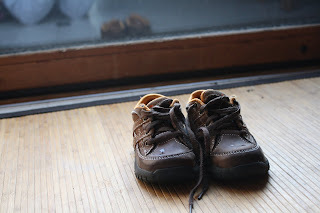 The boy is two and I haven't really had to worry about him getting into things (this much) until now. The other thing that has been improving is Elijah's hands. I see him spontaneously opening his hands more often. And, every once in awhile I'll see him crawling with his hands all the way open. Let me emphasize this point...crawling with his hands open is so awesome! Why? Because keeping his hands open while he weight bears will strengthen his little hands and will help him do even more with his hands in the future (at least I hope so!). Speaking of the future, I see speech as Elijah is making improvements in this regard too. 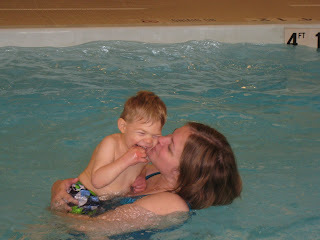 He's doing better chewing and eating and does mimick sounds occassionally (usually with his speech therapist). Last week his therapist was saying all of these sounds (Mamamama, mooomomoomooo, baabaabababa) as Elijah watched her face intently. His little lip quivered like he wanted to say something too, but didn't. We moved on to something else. But a minute later, Elijah started saying all the sounds she had made. I know it's just sounds, but it gives me hope that he will indeed talk. 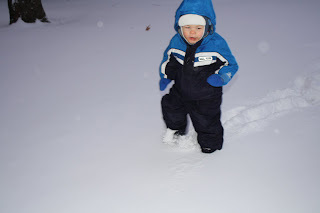 My hope is that by the time he is three we could have some consistent words from little dude. Let's hope! 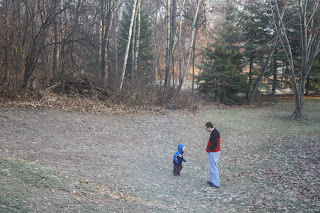 And my favorite update...We play this little "I'm going to get you game" together. I say "I'm going to get you" and he curls up and smiles at me. I grab him and tickle him and he laughs. Then, I'll lie on the floor and Elijah will come up to me and fold himself on top of me with this mischevious look on his face. He's "getting me!" So fun! It's going to be a little hectic here for awhile, so to tide you over, here's a video that was taken at little man's birthday party. Notice how dirty the little guy is. 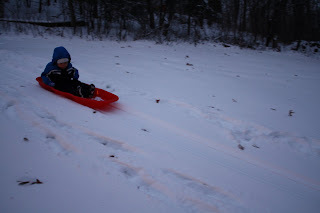 He had so much fun that day. Little man has had appointments almost every day since we've been back, sometimes two in the same day. And we've been preparing ourselves for my favorite time of year – the Fall Holy Days. Did I mention we're BUSY?! Last week, we had two doctor appointments I wanted to write about: the gastrointestinal doctor and his optometrist. Elijah likes doctors. He hardly noticed the nurse when she was talking to us, but when Dr. Tummy entered the room, Elijah's eyes lit up and he walked over to the doc. 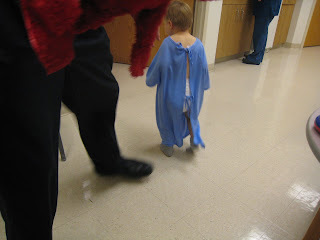 He stood right next to the doctor with his hands on the doc's leg while Dr. Tummy spoke with us. I asked the doctor to tell me if having Elijah standing there touching him bothered him. 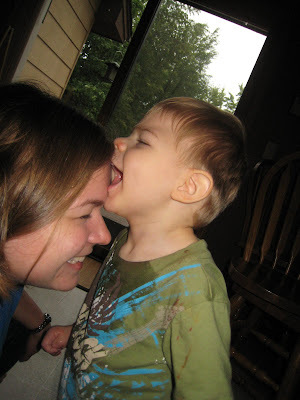 He was in the middle of telling me that it was okay, when Elijah leaned over and bit him! "Okay, back to mom!" Dr. Tummy said. Elijah has never done that before and I didn't really know what to do. We apologized of course and the doc seemed un-phased, although he didn't want Elijah anywhere near him after that. What's a mom or dad to do?! The only thing I can think of is that Elijah was trying to get the doctor's attention because Dr. Tummy was ignoring him. Who knows, but I think we have trouble on our hands. Dr. Tummy went over Elijah's Esophageal Reflux Study (the one we did in correlation with his sleep study a couple months ago). 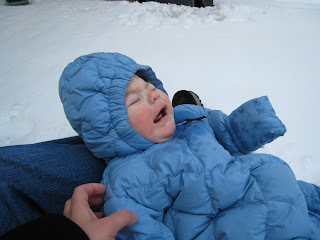 Elijah, during the study, refluxed 15% of the time (it's normal to reflux up to 4%). For seemingly, the millionth time, Andy was asked if he had a medical background! Hilarious…apparently if you know things about your child's condition, you must be a doctor - right? Reflux in children with neurological issues is really common since the brain has to communicate with the body in order for the body to work properly. 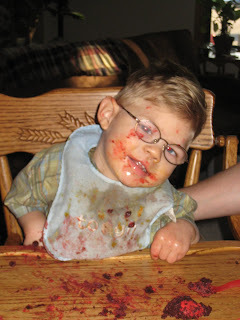 So, it seems, Elijah's brain isn't telling his body to process his food fast enough, so it comes back up. That combined with the fact that he doesn't have the best posture (partially because of his vision) cause reflux to occur. Just as we thought, there really isn't a good solution to reflux. Drugs or surgery are basically the options the medical community suggests. Neither seem like a good option if you ask me, but doing nothing isn't a good option either (reflux, if untreated for a long period of time, can damage the esophagus and can lead to a greater risk for cancer). Drugs reduce the acid in your body and acid is important to carry things throughout your body – and specifically important for brain-building nutrients to absorb into his system. Since Elijah already has issues with his brain, that doesn't sound so great either. And surgery, do I even need to say why that's not so great? We've tried some natural methods, which haven't seemed to help, and his diet is already so limited I'm not sure we could really change it. It definitely feels like a catch-22 kind of situation. So, this Monday (tomorrow) we'll be doing an upper-GI study to check and make sure there isn't anything structurally wrong that is causing Elijah to spit-up. Once we get the results, we'll have to make some sort of decision as to how to proceed. (Some prayers for a calm boy tomorrow would be much appreciated. Drinking barium and being strapped into a seat doesn't sound fun). The good news? I asked if Elijah could grow out of the reflux and Dr. Tummy said that he could. 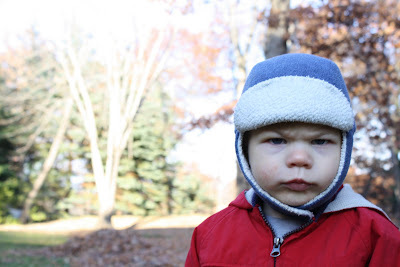 He mentioned that it's perfectly normal for kids to spit-up until the age of 18-months. 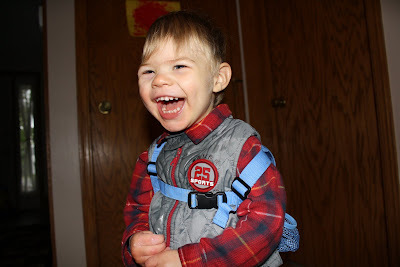 Since Elijah is behind developmentally, hopefully his brain will get better at communicating with his body and the reflux will eventually be a thing of the past. It's definitely something that gives me hope. Late last week, we saw Elijah's Optometrist. Elijah's eye doc holds fast to his nickname…he's so optimistic and I love that. 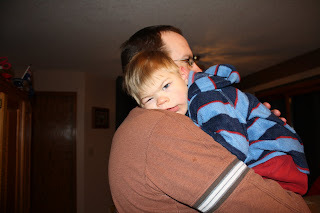 We weren't supposed to see the eye doc until November, but Elijah has been spontaneously covering his right eye for over a month and it was causing us some concern. Thankfully, Dr. Optimist isn't worried about the fact that Elijah will cover his eye. He doesn't do it all the time and while his eye does cross, it's minor and the doc thinks it will only improve over time. The reason the doctor is optimistic is that Elijah's vision does continue to improve. 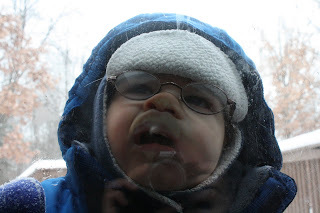 So much so that the doc thinks that at some point Elijah may not even need glasses! (This, unfortunately, doesn't necessarily mean that he'd no longer have cortical visual impairment...which is a completely different issue. But, that can change too, and it has). 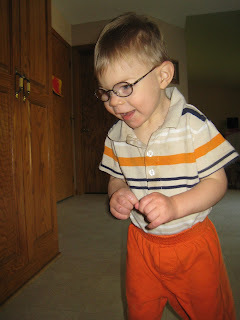 Based on their tests, Elijah got a new prescription for his glasses – which is half as strong as it used to be! We should get his brand new glasses this week and I'm really excited to see what kind of difference the new prescription could make in his development. Exciting stuff and something that definitively gives me hope. Two years ago, we'd only had Elijah home for a few days. 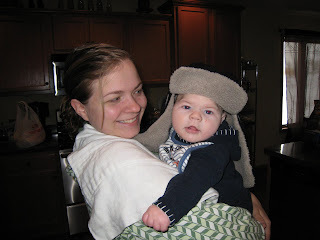 We were getting accustomed to caring for him full time. We were (are!) madly in love with the little guy. 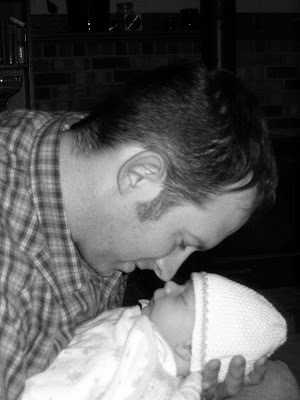 I wanted to share this early picture of Elijah and his daddy. 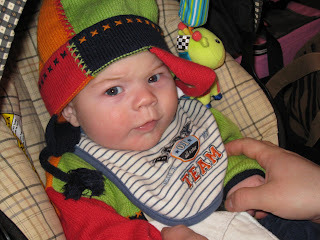 Elijah was less than a month old. .. So precious isn't it? Such a sweet little moment between father and son. My face says it all. I was crying tears of joy and feeling absolutely overwhelmed with peace and joy. Looking at the photo two years later, my eyes still fill with tears. It definitely ranks as one of my favorite photos of all time. We visited Dr. Nice Guy tonight, Elijah's rehabilitation medicine doctor (also known as a physiatrist). 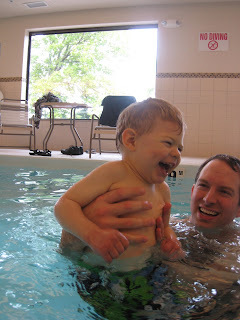 The doc was pleased to see that Elijah continues to improve in his motor skills. We're looking into getting new hand splints for Elijah. He has outgrown his old ones and since he still keeps his thumbs abducted, the doc thinks new braces might help him as he's now exploring his world more. 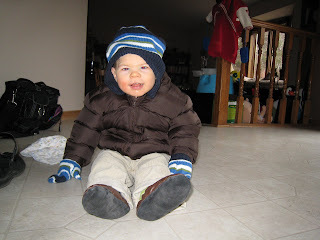 We asked again about Surestep and Dr. Nice Guy doesn't think Elijah needs any foot orthotics. "His feet look better than my six-year-old's feet!" he said. We had read in Elijah's medical records that Elijah has spastic quadriplegia cerebral palsy (spastic meaning the muscles are tight and quadriplegia meaning all four limbs are affected) and I wanted to know what Dr. Nice Guy thought. So, before we left I asked the doc the million dollar question: "What type of cerebral palsy does Elijah have?" The doc chuckled. "That's a good question." He went on to describe the different types of cerebral palsy and how depending on which doctor we talked to, we'd probably get a different answer from each one. 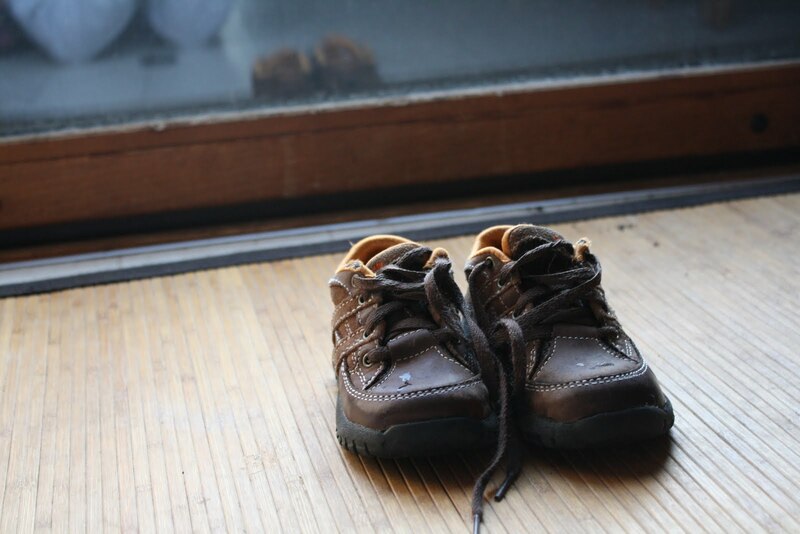 He mentioned that he rarely sees kids like Elijah –usually if they're walking as well as he is, their hands would be looser too. 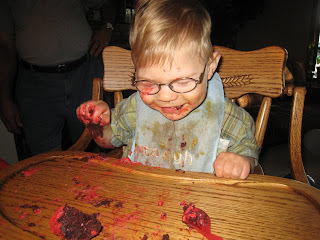 The doc thinks that Elijah's motor skills will continue to develop as he gets older, which is obviously great news. He talked to us about a newer way of classifying cerebral palsy, called the Gross Motor Function Classification System (which we had heard of before). 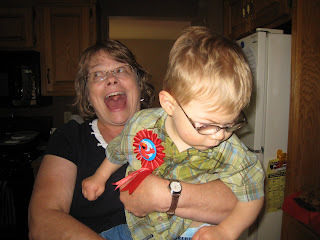 He mentioned that any doctor we talked to would agree that Elijah is a level one, which is the mildest form of cerebral palsy in that classification system. Dr. Nice Guy didn't want to commit to a specific CP type, so I guess Elijah is a level one and we'll leave it at that. This is good news, so why am I not happy? I have to say, I left the appointment with such mixed emotions. On one hand, the doc seemed to think that Elijah's motor skills will continue to develop so much so that at some point his cerebral palsy might not even be apparent (!!). 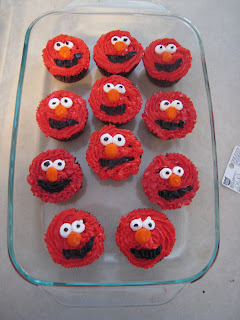 Amazing, right? Awesome! Physically, he really is doing so, so well. But (and isn't there always a but? 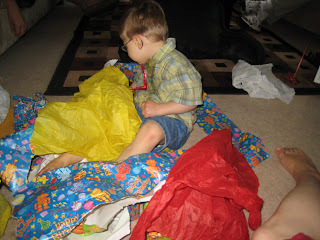 ), he foresees Elijah's disabilities as being more cognitive than physical. I suppose we've known this for awhile now, but it's not an easy pill to swallow. I'd be lying if I said that I'm okay with this. I'm not. What I wouldn't give to be able to have a conversation with my child, even if that meant Elijah told me how much he disliked me. Is it horrible for me to say that I'd trade in some physical stuff for ABC's and 123's? Does it make me a horrible parent to admit that? I've known for almost two years that anything Elijah was able to do would be a miracle. He is a miracle - no matter what. I'm mad at myself for even feeling sad about it. The future is scary sometimes. 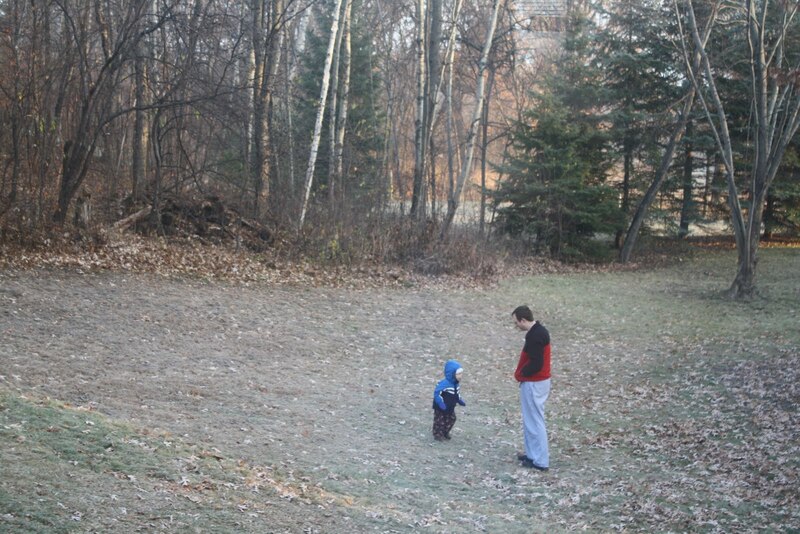 I wonder what we'll be able to teach Elijah and what he'll be able to understand. I get weary thinking of school and how we'll probably have to fight for him to get him the things he needs. I worry about his seemingly fearless attitude and how he doesn't seem to grasp personal safety. And, yet, I feel incredibly stupid even saying these things. How can I be sad when we weren't sure he'd even be alive? How can I be sad when he's running around our backyard? Have I forgotten how far he has come? Have I forgotten the parents who would probably kill to be in our shoes? It's at these times that I step back and remember what's important. What do I want for my child? I want him to be happy. And he is. He loves his life. I want him to know God. And I'll do my best to teach him. By no means am I giving up on him. Nothing is new here. 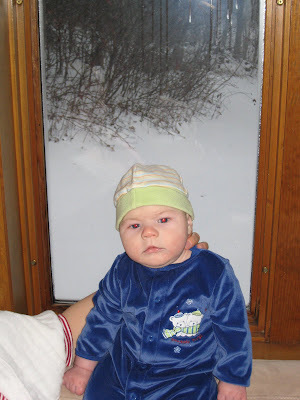 Elijah acquired a significant brain injury at birth. That injury, for whatever reason, affected him more cognitively than it did physically. He has come a long way in the past two years. Who knows what he'll be doing in two more. Perhaps once he conquers all the physical stuff he'll be able to conquer the world. I'm a firm believer that with God, anything is possible and that prayers work. That, however, doesn't mean it isn't hard sometimes.